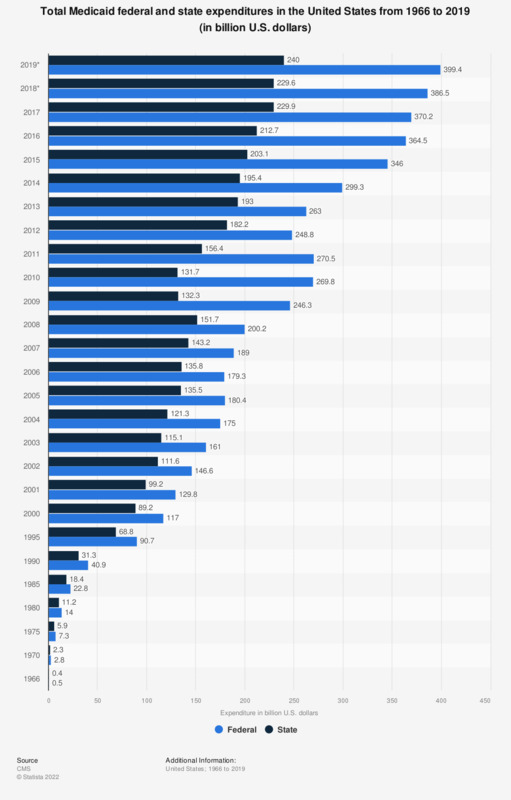 This statistic depicts the total Medicaid federal and state expenditures in the United States from 1966 to 2018. In 2017, the total Medicaid federal expenditure was approximately 371 billion U.S. dollars. Data for the period 1966 to 1976 have been revised to be consistent with the current definition of the Federal Fiscal Year (October-September). Expenditures are for medical assistance payments and administration.